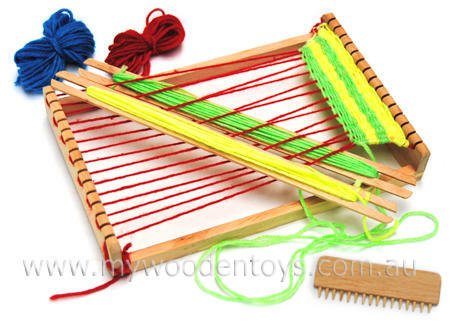 Children's Wooden Weaving Loom is a lovely practical kit which contains everything you need to weave together the included brightly coloured wool. The set includes A loom, two weaving shuttles, four different coloured generous lengths of wool and a beater to press your weaving into nice straight lines. A wonderful hobby and a great quiet time toy. We like this because: "So much fun and such a great concentration toy"